If you are one of our Philadelphia Medical Weight Loss patients you know that you need to eat if you want to lose fat and build muscle. You have to eat foods that will help you develop a sleek and slender physique. and in our Philadelphia weight loss program in addition to providing you with high quality FDA approved appetite suppressant medications, weight loss pills, diet pills and vitamin B12 injection therapies we show you the foods that you should be eating to help you achieve your goals. So many people come to our program thinking that If they have to be on a diet that restricts foods that actually taste good and stay away from the foods that most of us enjoy. And they’re presently surprised when we tell them that they can eat lots of great tasting delicious food and still lose weight while being on our program. The people are usually totally surprised when they visit our website and find recipes for low calorie lasagna and sugar-free cheesecakes of all type as well as lots of other sugar-free desserts and low calorie entrees. So with that being said if you are new to our program and would like more information call us at 215-821-7336 and schedule a free consultation. Start by taking a 8 x 8-inch deep dish or deep baking tray and line it with parchment paper and set this on the side. Take a large mixing bowl and add the cereal into it. Next add all of the other ingredients into a bowl that is microwave safe and microwave this until everything has melted nicely. Then remove it from the microwave and stir everything together till it’s totally combined. Now take this wet mixture and pour it over top of your cereal in the other Bowl and stir everything until it’s mixed well together. After then just pour it onto your parchment lined baking tray and place it into the refrigerator and keep it there until it’s very firm. When it’s totally firm take it out of the refrigerator and slice it into bars, Then enjoy! Put your yogurt, coconut flour, protein powder, sweetener and half of your blueberries into a bowl and stir everything till it’s mixed very well together. When it’s totally mixed together just add the remaining blueberries over top. Take this mixture and place it in the refrigerator and let it cool. To make your pita chips preheat your oven to 350 degrees Fahrenheit and line a baking tray with parchment paper. Take your flat out wrap and cut it into small square pieces. spray them with any type of cooking spray and sprinkle your cinnamon over top. Please this in the oven and let it bake anywhere from 7 minutes to 10 minutes or for as long as it takes for them to become crispy and then take them out of the oven and set them on the side and let them cool down. All you have to do now is add your cocoa butter and to a small bowl and mix in your vanilla extract. Just make sure that it’s all stirred together nicely. You can drizzle this over top of your pita chips. I usually like to make the blueberry cheesecake mixture in the afternoon or evening and let it cool overnight so that it has a bit thicker consistency when I eat it. Take a bowl and add your sweetener, powdered peanut butter and cocoa powder and mix everything together nicely. When everything is totally combined stir in your yogurt and mix everything until your yogurt thickens. It will look and feel like pudding. Next stir in your peanut butter.You may now eat it or you can place it in the refrigerator and let it become cool. I have to tell you that I personally have enjoyed each and every one of these recipes and they are totally delicious! I hope you enjoy these recipes as much as I do. And if you, a friend or loved one need help with achieving your weight loss, health and wellness goals – I invite you to call us and schedule your free consultation. Call us now at 215-821-7336 for your free weight loss consultation. Thank you! 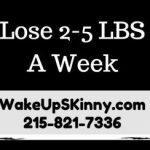 This entry was posted in Diet Doctors in Bucks County, Diet Doctors in Philadelphia, Medical Weight Loss, Medical Weight Loss in Philadelphia PA, Medical Weight Loss Philadelphia, Weight Loss, weight loss philadelphia and tagged Medical Weight Loss Philadelphia, weight loss philadelphia, weight loss programs Philadelphia on June 5, 2017 by Dr. Michael Kenny.